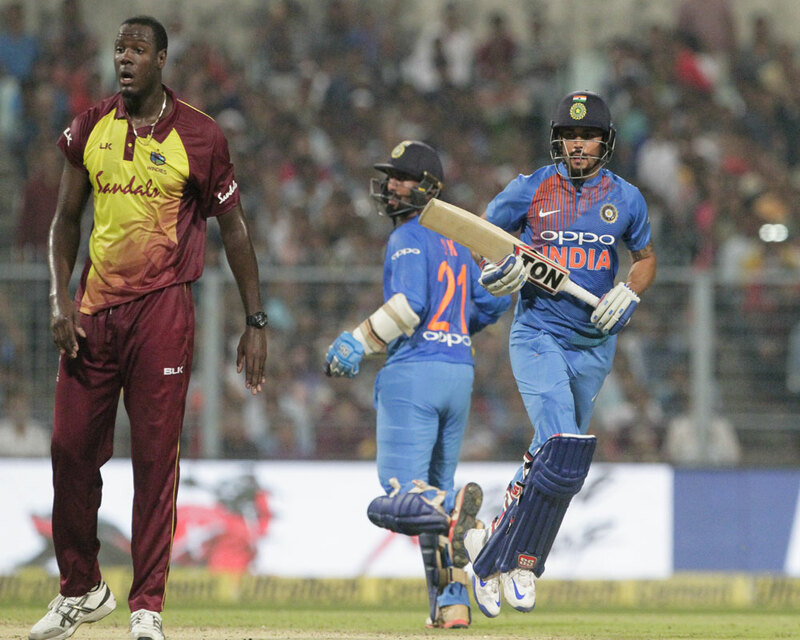 India defeated West Indies by five wickets in the first T20 International here Sunday. Sent into bat, West Indies were restricted to 109 for eight and India chased down the target of 110 in 17.5 overs at the Eden Gardens. India: 110/5 in 17.5 overs (Dinesh Karthik not out 31, Krunal Pandya not out 21; Carlos Brathwaite 2/11, Oshane Thomas 2/21).